— Ai Weiwei, a scene from his documentary "Human Flow"
God knows this about us. Scripture is full of examples of people who do not wait well. God knows our human condition and calls us into a season of waiting – waiting for God to become incarnate, flesh among us. But how should we wait? I don’t think we are called to let these 22 days of Advent pass by too quickly, with all our attention focused on just getting to Christmas Day. I believe we are called to attend to each day in its fullness, watching and waiting to see how God is revealed to us in our midst. As Christians, we are called to live into the now and the not yet as we are actively participating in God’s kingdom and waiting for the full realization of a world where sin and death do not have power. It has been a spiritual practice for me to witness and participate in this kind of attentive waiting with refugee friends. Because, unfortunately, so many of the things they are waiting for do not have neat and tidy Advent countdown calendars. While a child is waiting for an incarcerated parent to come home, I listened and shared fond memories and stories. I’ve patiently practiced English phrases and conversation, waiting for the day that this skill leads to better job opportunities. I’ve seen the impact of driving friends to doctors appointments and visiting each other in the hospital, saying, I’m here for you as long as it takes for you to get well. We held one another’s hands and prayed during times of uncertainty because there seemed to be a never-ending series of hurdles to jump through to attain self-sufficiency, access to healthcare and education. When we do these things, when we wait with each other and attend to each day in its fullness – in the bittersweet joy of life – the revelation of God in our midst is that much sweeter. And so this Advent, savor each day without fixating too much on when the waiting will come to an end. Be with someone in their waiting and uncertainty. We are not called to wait alone. God is with us. Hillary Peete moved to Houston in 2012. 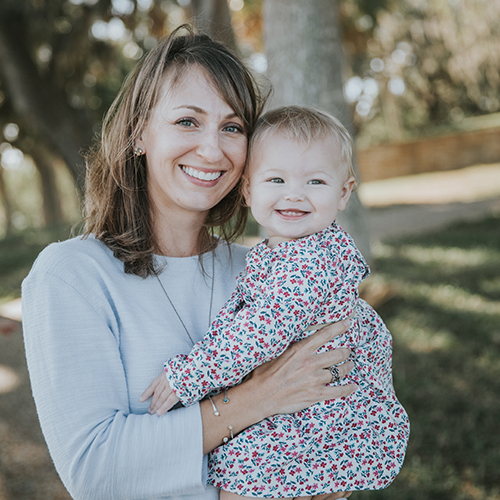 She became involved with FAM by joining Community Nights at Los Arcos and fell in love with the joy of sidewalk chalk doodles, bubbles and pizza parties in the courtyard. Hillary received her Masters of Divinity from Candler School of Theology and is passionate about fostering welcoming and creative environments for children to explore spirituality.